In xenoblade games soundtracks, i prefere xenoblade cross soundtracks. Splatoon is soon to be the largest franchise in Japan. It has a long way to go to even catch up to Animal Crossing, let alone pass it. Animal Crossing often gets ignored, but it's the real king. It blows my mind how Nintendo haven't make a decent Animal Crossing since 2012. The AC team is so preoccupied with the mobile game? NSMB on 3DS and Wii U sold 2m+ and 1m+. Since Splatoon 2 is heading for at least 4m+ the only rivals are Animal Crossing and Pokemon. I believe Aya Kyogoku, New Leaf's director, is making Labo. They don't need to rush Animal Crossing too I guess, they were still trying to sell New Leaf last year. "Biggest franchise in Japan" is kind of hard to quantify when you think about it. Animal Crossing New Leaf sold over 5m on 3DS, making it the best selling title on the system. But it's still the most recent game in the series and has had 5 years to sell. Pokemon X/Y sold over 4.5m on 3DS in 2013, followed by ORAS in 2014 which sold 3m, followed by Sun/Moon in 2016 which sold nearly 4m, followed by USUM in 2017 which sold over 2m. Monster Hunter routinely sells 2-4m yearly aside from 2016 which didn't have a mainline release. Splatoon sold over 1.5m on Wii U in 2015 and Splatoon 2 has already sold over 2m in less than a year. Dragon Quest comes around at least once a generation and reliably sells 3-4m. I'm not really sure what I would consider the qualifications for the biggest franchise to be. Is it whatever ends up selling the most of a single title in a generation, or the series that sells the most across multiple titles in a generation? The former (for now) would point to Animal Crossing, the latter would point to Pokemon or Monster Hunter. Pokemon Red/Blue/Green sold way more than NSMB. I imagine we'll see AC on Switch before too long. It has got to be in the cards, you'd think. Like this year or next year, I'm thinking. Pokemon is probably the biggest game franchise in Japan. Taking into account the overall consistency of the brand and the success rate it has outside of the main games as well. Japanese twitter should just auto follow all new users in Japan to that account. Biggest franchise in Japan especially in gaming front extent more than just gaming. Mario and Pokemon is much bigger vs any other gaming franchise is simply to the fact that they are such gigantic IP which is able to bring money from not only gaming but also other things like selling other product simply based by their names. There is a reason why Kirby is still much bigger vs like Fire Emblem even if the sales number is the same as Kirby bring a huge Kaching from merchandising too. Not a chance. Fate makes so much money it often dethrones China (Honor of Kings) and America (Clash etc.) to be the top earning mobile game IN THE WORLD*. A lot of perceived value of Nintendo brands is not yet unlocked as these brands are not multimedia brands like Fate is. Mario, Pokemon, DQ and Zelda combined are smaller than Fate as far as gross from "games only" go. Of course, overall Pokemon is top, given how much merchandise and multimedia sales it has (it beats Star Wars after all); but Mario and Zelda are not that heavily merchandised, and I really doubt either have as much multimedia potential (and I really DOUBT Zelda's merchandising potential outside 8 bit UNIQLO shirts). Sad to say, but DQ probably has lower brand awareness than Fate everywhere in the world outside Japan, and that's also not a MM franchise. Mario, Pokemon, DQ and Zelda combined is smaller than Fate. You must be joking lol. No one consider an IP being bigger only for the fact that they are selling huge on game part. There is also other money venue that Pokemon and Mario had brought which is true merchandising. ghostpia for Nintendo Switch (tentative) development in progress! ! ! Mario, Pokemon, DQ and Zelda combined are smaller than Fate as far as gross from "games only" go. Of course, overall Pokemon is top, given how much merchandise and multimedia sales it has (it beats Star Wars after all); but Mario and Zelda are not that heavily merchandised, and I really doubt either have as much multimedia potential (and I really DOUBT Zelda's merchandising potential outside 8 bit UNIQLO shirts). Mario must be huge with licensing stuff actually, I also think the movie will be a hit ranging from 750M$-1B$ worldwide - it's an Ilumination movie and they're great at making box office hits. I agree about Zelda and Dragon Quest tho. It has a shot. We’re talking about a game that will be in the top 30 in Japan for the next 4 years ! With spike in sales every holiday season and with every big game release like Pokemon, Smash and Animal Crossing. I say it has a shot. I mean.....talking game only, Mario only on Switch right now already had, Odyssey and Kart which will break 10+ million easily with no end game seen. Mario + Rabbids which is one hella crazy combination is going to hit 3M+ And Mario Ace Tennis also seems to have huge enough quality to sales 1M+. There is no way Fate can be bigger than even Mario at any spectrum of discussion right now especially considering how huge Mario reach vs Fate. I don't know if Fate is bigger than Mario globally. Do games like Mario Kart count towards Mario brand? Also not sure if it's bigger than CoD. But I do agree it's easily top 5 gaming IP all things considered. You'd think WSJ would like to write about it, but I guess it's too "anime" lol. With the rise of FEH I'd say FE is EASILY bigger than Kirby globally. Not sure how it does in Japan. I can see FE being bigger than Kirby in future especially if IS and Ninty is pushing even more for merchandise for FE franchise. Things like FEH and FE Cipher TCG is already a great moves that will increase its IP relevance. However, i think they are still not reaching the masses enough. Maybe some anime can be a great idea there. For Kirby, a great simple mobile game can go long long way there if you ask me. The mass and female demographic will be crazy about it. Fate is not a huge general IP. It's a very profitable IP in a specific demographic. Fate Grand Order does make a lot of money because the fanbase playing it are very eager to spend on it. That doesn't mean it has huge reach or that the reach it has translates into other mediums. It also doesn't mean it has larger mindshare than other IPs which make less in the mobile space. This is something to think about. It's not just about how much money something makes when we look at the size of an IP, profitability != audience size. It's hard to say... Sales for both series are similar today, with Kirby having the lead and better consistency over history, but FEH is probably making more money than any other FE or Kirby game. Problem is that Kirby has a lot of merch money and brand awareness and while FE is growing in that aspect too (+ otaku money), Kirby is more mainstream. Both games are going to sell over 2M+ with the famous "Switch boost" that all first party IPs are getting. I think FE Switch will outsell Star Allies worldwide, but not in Japan. Yes, my first comment was more about money per game entry, not actual mainstream popularity. I...don't even know what Fate is. Suppose Mario games sell 20M copies a year, (I'm being generous because two big Mario games launched last year, usually they can't reach that number), that's 1200M USD per year. Fate makes about 2M USD daily on Apple store. That's 700M USD per year. Multiply that by 2 to take account of the Android store, you get 1400M USD per year. Looking at the WW switch sales numbers reported from Nintendo's last earning's report (14.86 million), and the 20 million units that Nintendo plans on producing this fiscal year, that makes a total of 34.86 million WW sales, putting it above the Wii U, GCN, and N64's worldwide lifetime sales (13.56 million, 21.76 million, 32.93 million respectively), and only 15 million below the SNES' WW lifetime sales, by the end of year 2. This of course doesn't factor the sales that have been made between January 1st and March 1st, 2018, and is under the presumption that Nintendo can sell 20 million units this fiscal year, but I do think it's really interesting that it's in the data. Hopefully we get something on Pokemon soon and hopefully it looks good. If we can get the release of Smash and Pokemon on Switch before the end of FY2018, that'll definitely poise Switch as a potential 20 million seller, or beyond. Fate is the franchise that encompasses Fate/Stay Night, Fate/Zero, Fate/Extra, Fate/Grand Order, Fate/Kaleid Prisma Liner Illya, and several other games, anime, manga, and novels. If Game A costs 9800yen sells 400k, and Game B costs 3800yen and sells 600k, would anyone say that the sales show that Game A is a bigger IP than Game B? I'm not sure you can just multiply by 2. Isn't iOS decently bigger than Android in Japan? I don't have a source for this right now, so if someone can share data proving/disproving it, I would be grateful. I don't know if Fate is bigger than Mario globally. Do games like Mario Kart count towards Mario brand? Also not sure if it's bigger than CoD. But I do agree it's easily top 5 gaming IP all things considered. I believe Fate is among the top dogs right now. Also, it's complicate to measure the entry barrier of a F2P mobile game. On one hand, it's free; on the other hand, a big portion of the revenue comes from the whales that spend huge amount of money on it. To me it's like the normal people and the whales are playing two different games. I'm talking globally (you don't believe Japan can sell 20M copies of Mario every year do you?). In China Android is decently bigger than Apple, and China has the largest mobile game market in the world. FGO is also the most profitable mobile game in China. Do we have the original source for this? Dualshockers are terrible since they don't provide sources at all. Also, please disregard the stupid comments about Japanese gamers, the guy's just a sad individual. When Fate games are released on consoles, they don't sell millions. The franchise caters a very specific audience who spends a lot on mobile and possibly merchandising but that's it. Pokémon has a much wider demo and this translates into millions sold in the console landscape. That's the thing, Mario is a widely known IP. Everyone and their moms knows Mario, he is globally recognizable...even in places where Nintendo is historically weak (China, Europe). However, the people who are willing to spend on the IP, and the degree of spending, is very likely very much smaller than Fate. Nintendo IPs in general are not well-leveraged, not well-exposed and not well-exploited compared to anything by Disney...or even Ghibli. and Fate This is where Nintendo falls flat, it has an icon that is almost as iconic as Mickey Mouse, but has failed to keep in the non-gaming populace's mind to induce them to spend money on the IP. This is why Nintendo is shifting its strategy, after the abject failures in video game the last generation, to leverage its IP more in other non-video game areas. However, that will take time to ramp up...and it has not quite reached that phase yet. Also, there is no way Fate doesn't have mainstream appeal at this stage (post FGO), especially in Japan. Going by imperfect social media metrics, If Splatoon is the new hotness (with 1 million twitter followers) in Japan for Nintendo, then FGO alone is much more popular than Splatoon (1.22 million twitter followers). I bet Fate also has more mind-share among the foreign weeb population compared to Mario, Zelda or DQ (Pokemon still wins though). The old idea that Fate is only a whales franchise is probably outdated. 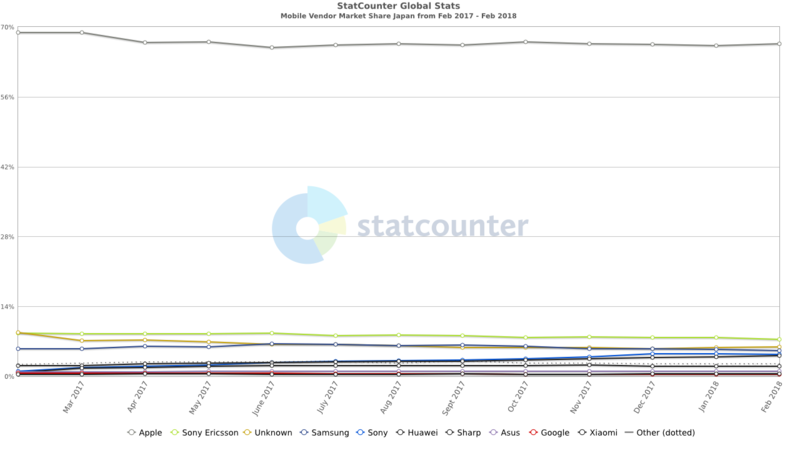 Mobile spending is one thing, but Japanese whales alone would't let you beat the most popular game in China (HoK), or the Clash games in the West. Being whale only don't make your gacha character release trend on twitter ahead of Namie Amuro's retirement announcement either! It definitely has a massive mainstream audience as well, who spends small amounts in FGO, buys up its merchandise, attends its events, watch its stage play etc. I mean, Fate sure is top dog. I just don't see in terms of IP bigger than Mario at all. Mario simply had much bigger things rather than just game. Its IP reach is soo big that most people know Mario. It is like comparing Lexus brand with Mitsubishi there. Sure Lexus with all its luxury cars can bring tons of kaching(whales.) However Mitsubishi on itself due to how huge the market it served, will always be bigger brand vs Lexus. BUt there is a huge flaw with your argument there. You talk that people willing to spend on Mario is smaller than Fate..... however there is simply no prove nor data that we can see on how much does average FATE GO users spend or it is the simple case of whales carrying the whole IP there? Again. Fate IP won't be mainstream as it targeted a specifically otaku/weeb market while Mario and even Splatoon is targeting masses market. As we had always known. Anime is not a mainstream thing even in Japan. You're exaggerating. How is Nintendo worse at this than Ghibli, a company that can't keep making movies because they don't know how to make money with their IPs? Nintendo has already said they have a multimedia strategy and they're soon releasing feature movies and theme parks collabs. You're underestimating the Mario IP a LOT. I live in South America and we have McDonald's Happy Meals toys with Mario toys sometimes, just as an example. I'm pretty sure they have licensing for stuff like this all over the world. And yeah, no. Why a "weeb demographic" would matter so much? More people in the west care about Mario and Zelda than Fate. Ghibli's problem is succession, since the entire studio achieves commercial success on MIyazaki's vision and genius. Not IP promotion. Ghibli is VERY aggressive at promoting its IP. It also merchandises like a boss. I gave some non-hard data in my edit. Like beating HoK in global gross rankings sometimes (with its millions and millions of Chinese mobile gamers in the population of a billion) which really isn't possible without a huge base which is also engaged, and overshadowing Namie's Amuro's retirement announcement in Japan by releasing a 2D Husbando in a gacha event. This shows a big mainstream audience, at least in Japan, from how I see it. Also "knowing an IP" is not the same as "spending on an IP". A ton of people know Felix the Cat or Popeye the Sailor-man or Bugs Bunny. However, many of these are considered much less viable compared to their heydays because the audience who will spend money of them has drastically shrunk. Ultimately, the money generating potential of an IP is more important than a average joe on the street knowing the IP. They compared the 63k opening with Azure which opened at 56k, and said that while it was an increase, comparing it with the previous numbered entry on PSP which sold 103k in 2011, it's a 40% decrease. They acknowledge that since Valkyria 3, the market has seen a shift towards digital sales as well, but even taking that into account they don't feel it's a good result. They then point to the efforts Sega has made with the remaster and with Azure in the past year, and conclude that it's hard to make a case for this meeting the expectations for an attempted relaunch of the franchise. The franchise has been dead for so long it's better to just view it as a reboot (sales wise, not game wise). Of course it won't sell as much on PS4 as it did on PSP. The install base gap is huge. Adding in the Switch version (which should come out not very far from now) it will likely outsell the original. To me that's a win. I think you raised a very interesting question here. Sure everyone and their grandma know Mario, but is your grandma actually a part of the audience? On the other hand, indeed Fate's revenue is supported by the whales, but there are a huge amount of people who only spend minimum to zero money on the game. It's F2P after all. Are people who only heard of Mario and only pay FGO for free (or only watched the anime like my two roommates) part of the discussion? How do we know how many of these people are there and their importance to the IP's overall significance? Are people who only heard of Mario and only pay FGO for free part of the discussion? How do we know how many of these people are there and their importance to the IP's overall significance? Well, by having much larger market share that would mean much more chance to hit big vs being big only on a certain small market pool. Like lets said ma Grandma is buying some merchandise. She is guaranteed won't buy any Fate things as present for the grandchildren there however Mario on the other hand, on the simple fact that he is a well know character opened the chance of being purchased on the virtue that it is Mario. Again, using automobile example here. (The only thing i am more confident in arguing lol.) In the recent years, Mitsubishi had been facing decline due to their Market being eaten by Toyota, Honda and Mazda. However due to the fact that it is such a huge Brand, last year they finally launched their biggest product which is "Mitsubishi X-Pander" which hits crazy success where they break all record in SEA for the number of pre-order that they are scrambling to produce the car as much as possible. Also, there is no way Fate doesn't have mainstream appeal at this stage (post FGO), especially in Japan. Mainstream is a very large range here. For comparison the Heaven's Feel movie released recently, which is the biggest of the Fate projects in terms of production value and marketing, made about 15 million at the Japanese box office. That's not bad for anime, but not really outstanding. In comparison, the Sword Art Online film made 25 million, Yokai Watch made 32 million, Pokemon still makes like 35 million, and Detective Conan topped the boxoffice for domestic films in 2017 with 69 million. Fate is not unknown to the average person, they have probably heard of it, but it's not quite there in terms of something that you would easily find someone who is a fan in every social circle. They were posting a lot in this thread after the DQXI announcement. Haven't seen them since the Level 5 news. Shrug. ROTW will have to save VC4, arguably the launch platform has also resulted in much lost sales. NSW version being day and date probably will help it a bit, but not by much given its limited install base for now. I think it could have doubled sales if NSW is day and date at best. Given that the launch on NSW is delayed, the sales potential on NSW will even be lower than than even. i GUESS they really really needed to get this out before the FY is over. NSW version being day and date probably will help it a bit, but not by much given its limited install base for now. I think it could have doubled sales if NSW is day and date. Given that the launch on NSW is delayed, the sales potential on NS will even be lower than than even. Ok, I'll be the first to say this, but these PS4 games underpeforming is not surprising when you compare them to PSP entries. PSP had actually decent HW sales, while PS4 has meh numbers. The platform itself was more friendly to japanese games and genres. I think a day and date NSW release would probably let it get closer to older entries FW, but would still probably miss it because of the small install base at the moment.